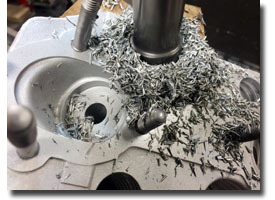 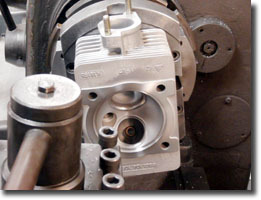 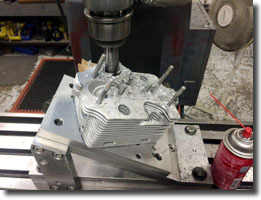 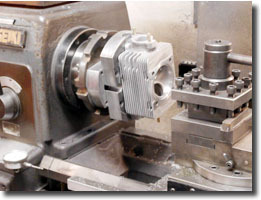 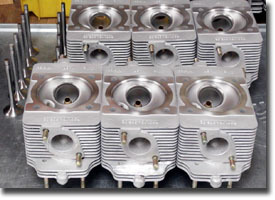 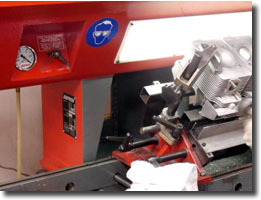 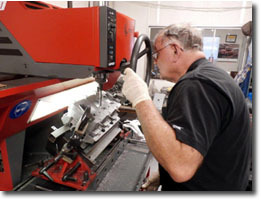 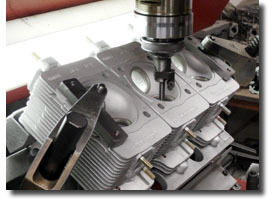 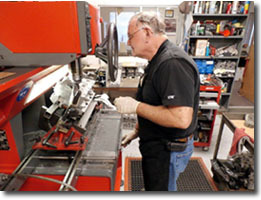 "Competition Engineering - Porsche cylinder head repair - Expert Porsche Machining for 51 years"
Over the years, one of our machining specialties at CE has been cylinder head repair. 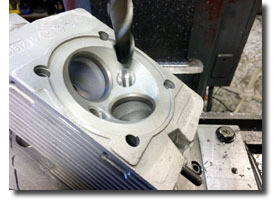 That Porsche head you thought was just too damaged to be repaired, we may be able to give it a new life at CE. 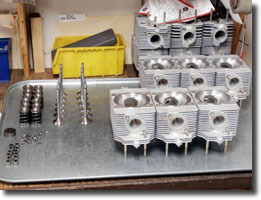 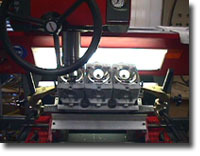 Shown here is a damaged 912 head at different stages of repair to completion. 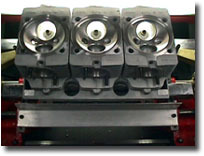 Over the past 47 years, we've repaired thousands of damaged street & racing Porsche cylinder heads so they're once again able to perform to factory or high performance specs as intended. 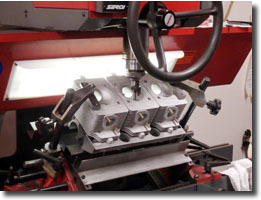 Our new SERDI 2.0 valve seat & valve guide machining system is for use on all Porsche cylinder heads. 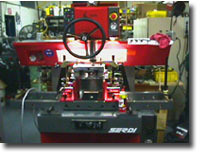 The SERDI patented automatic centering of the machine spindle to the true axis of each valve guide, allows us to offer our customers state of the art technology.